Mini puff snack machine is widely used to process corn, rice, sorghum and other cereals, and it can produce final puffed food in three shapes including hollow bar, peanut shape, and solid bar. Additionally, it can also produce pentacle, rectangular, mung bean, matchbox, etc with other molds. 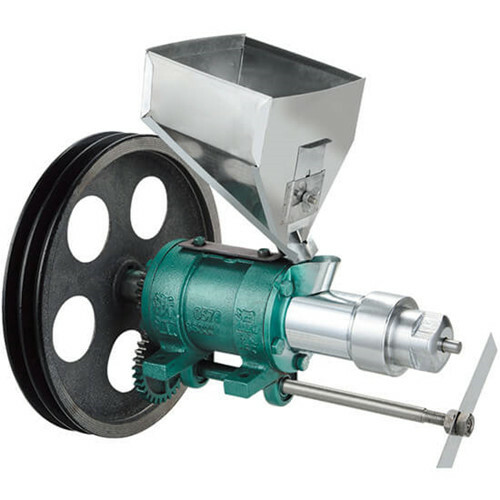 Reliable quality and little investment, puff snack extruder is definitely an ideal equipment for household purpose or for small plants producing snack food. 1. Manufactured based on abundant experience and international advanced technology. 2. 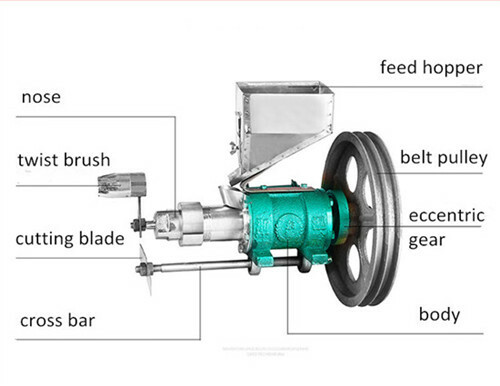 Small volume, lightweight, compact structure, simple operation. 3. High output, low cost, good quality, greatly shortened machining process. 4. With the different die, it can produce puffed food with kinds of shapes. 5. Adding safe food additive, various flavor puffed food can be made by the mini puff snack machine. 1. 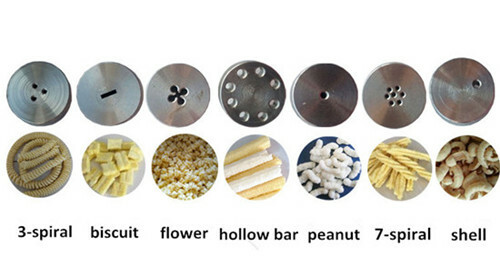 The kind of puffing machine can produce many kinds of puffed food with beautiful shapes, like hollow bar, peanut shape, millet cookies flower, hemp flowers, pentagram, rectangular, mung bean shape, diamond, crispy rice shape, matchbox shape, etc. 2. Various flavors puffed food can be made by adding sodium cyclamate, salt, spice, or others food additives. 3. 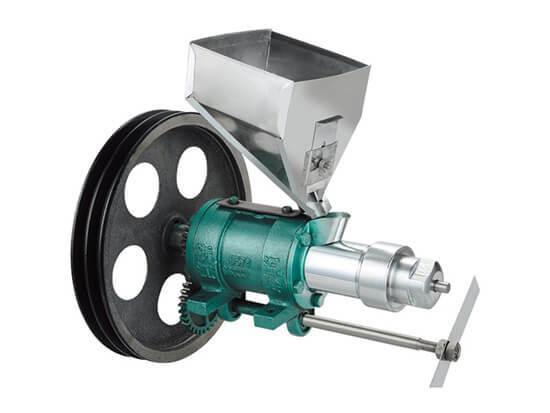 It is suitable for generalization of the snack food business line, especially for puff snacks food production. 1. 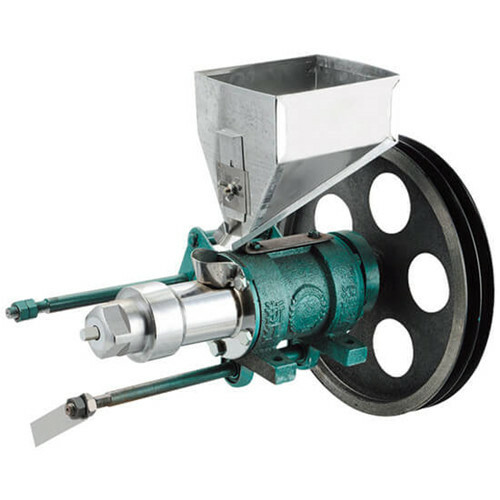 Dry raw materials, foreign matters in the spiral groove, or suspended feeding will lead to failed shaping products. 2. If there is a blocking in the spiral groove, don’t stop immediately and the operator should stop feeding first. 3. 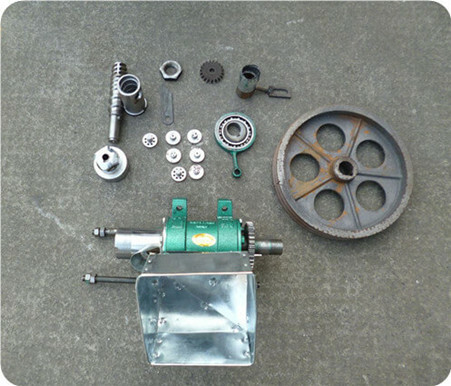 After working, keep the machine running without feeding 1 minute to discharge the remaining materials thoroughly. 4. Disassemble the machine and clean it; when disassembling, gloves should be worn to prevent burns. 5. Don’t feed too much one time in case it causes blocking.